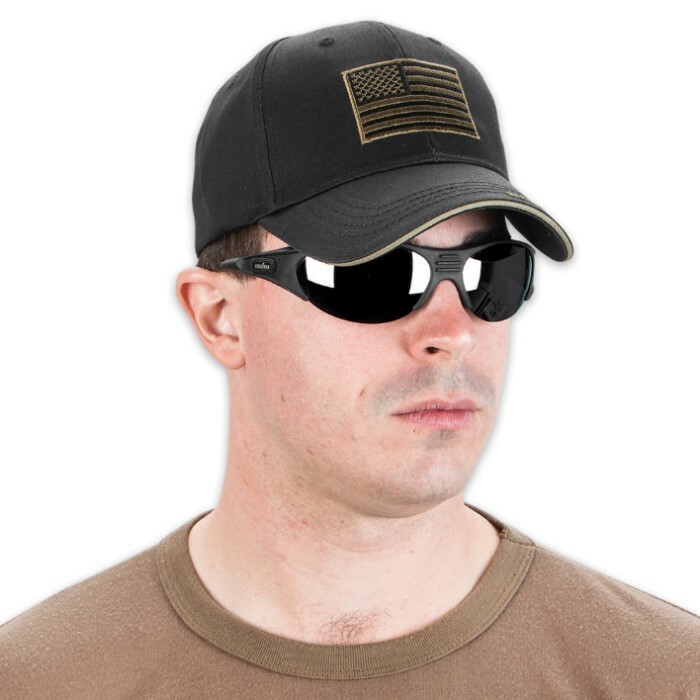 American Flag Tactical Cap | BUDK.com - Knives & Swords At The Lowest Prices! 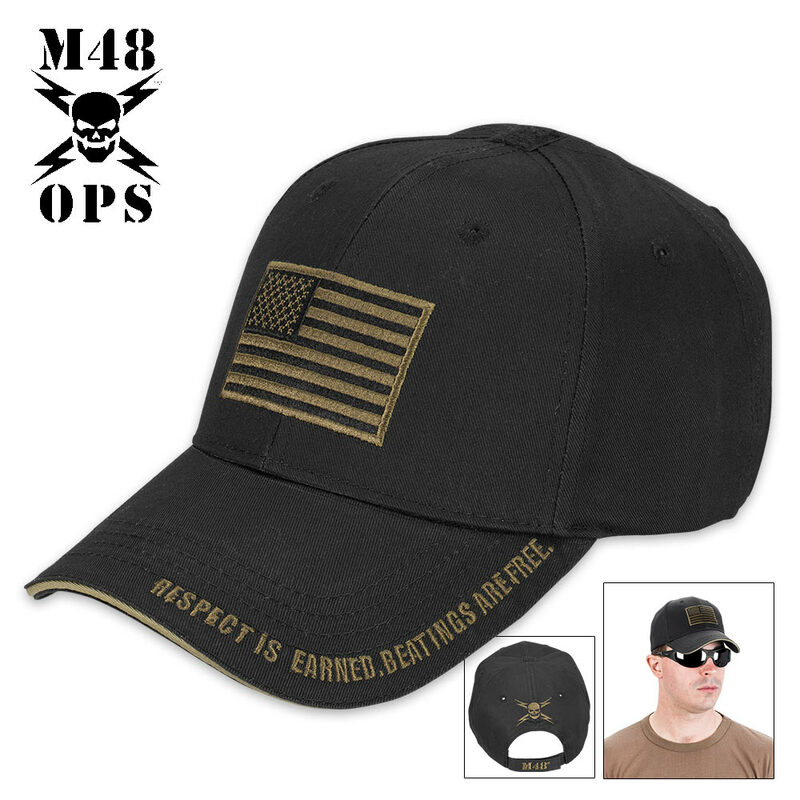 Not only does this patriotic M48 OPS cap bear an American Flag patch on its front but it also proclaims the message, “Respect is earned. Beatings are free.” on its bill. Now, that will teach them! As always, high-quality material were used in production of this hat and it is constructed of 100% cotton. 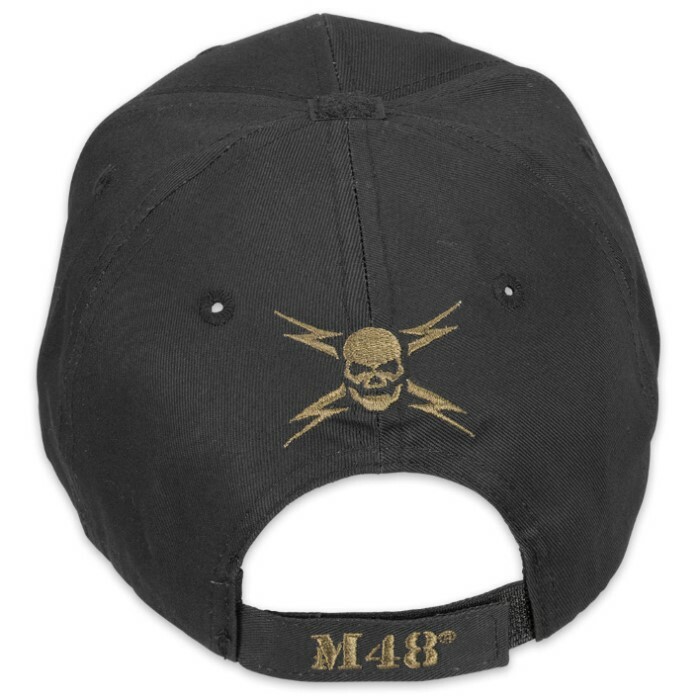 A Velcro closure lets you adjust it to fit, and the M48 OPS logo is on the back panel and on the Velcro strap. This six-panel cap is available in black, coyote, sand, camouflage and olive drab. This is actually my second time purchasing this hat, lost the the first one. Good quality. fits well. I wear this hat every day I'm working security. Great hat! Fits and wears well! 4 stars only because it's made in China. Also, what is the velcro patch on the top of the hat for? Anybody...? Comfortable hat. Quality made and soft material. I ordered sand and it gives me fond memories of salt stained sand tee's. You like wearing hats, repping the military, and letting punks know you're a real man. Why not kill three birds with one hat?